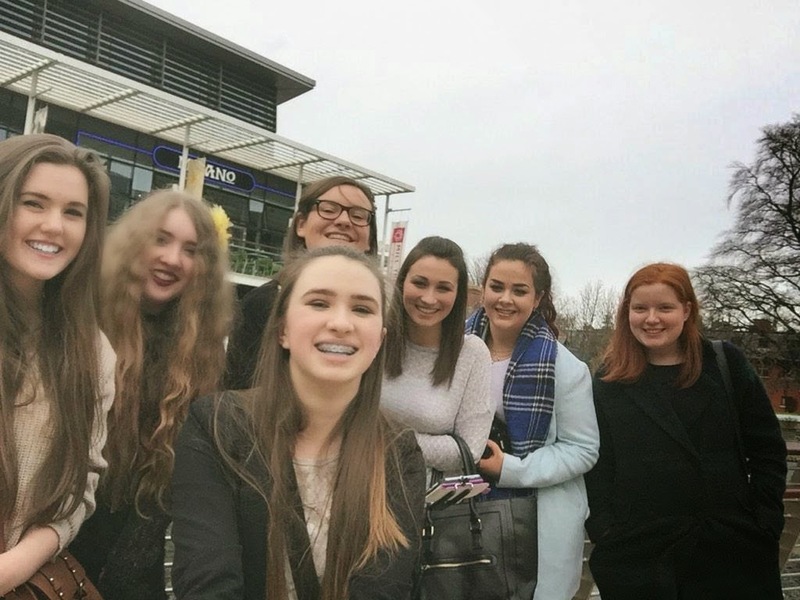 Prepare for selfies galore, as at long last I'll be sharing with you my experience at meeting up with some of my amazing fellow teen bloggers last Sunday! After seeing Gaby last October, meeting a person you have grown used to looking at on a computer screen and talking to on Twitter being surreal was not unknown to me, but it still was so bizarre and wonderful to me meeting up with these fantastic girls. 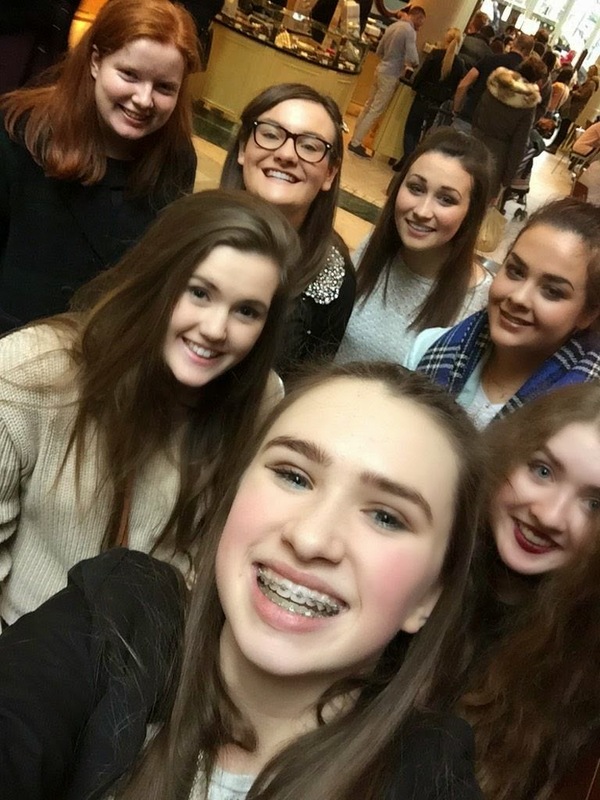 Seven of us bloggers travelled near and far to meet up at a shopping centre, but for me it was extremely near! The first of the group I saw were Grace and Aveen, who ran towards me; an ideal start to the hang out. It really reassured me since I was the tiniest a bit uncertain about meeting anyone I know from online, as anyone is naturally. After talking to the pair for a while, and feeling like I was watching an AwkwardSprinkles video, Chloe arrived, and soon after Aoife, followed by Celine and Sarah. 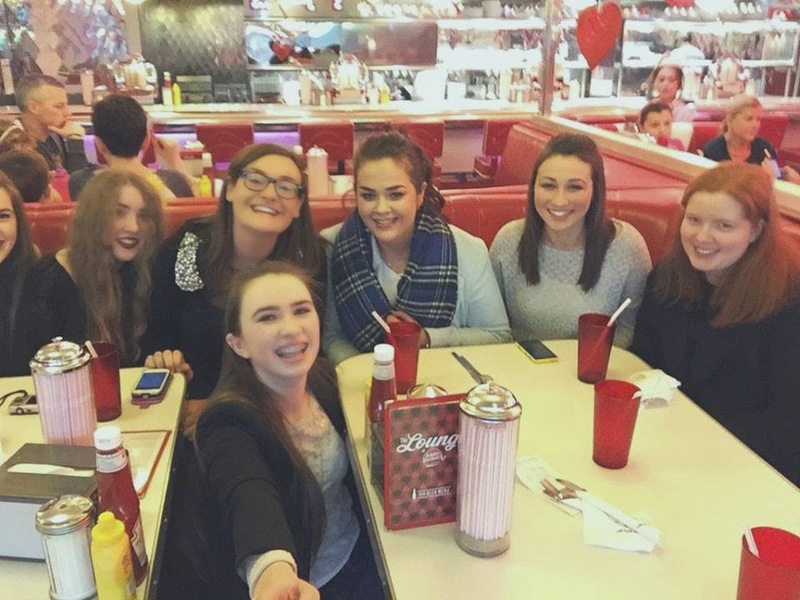 We all ventured up the escalators to Eddie Rockets for some grub. I was their 'tour guide', as the bloggers were foreign to the centre. While that was fun, I kept walking too far ahead, and without thinking almost went up the 'down' escalators, with all the girls following me! Great first impression, Jane, great first impression. I made up for your absence in the other photo, Chloe, with this masterpiece; you and Grace looking too cool for school alright! 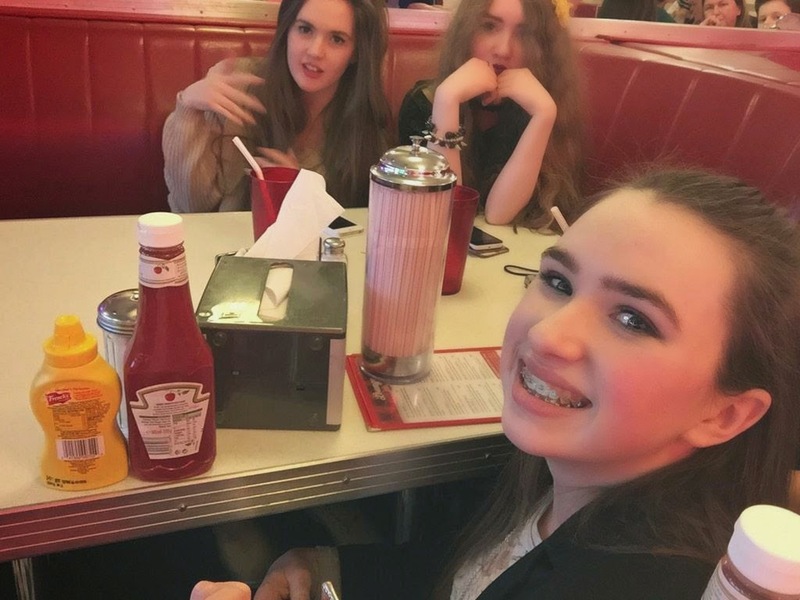 By the time we ordered in the retro diner, I came to realisation that I was quite chatty, probably too chatty, as I sat in the centre of our two tables. I tried to be as cool as possible, but I'm not sure if I accomplished that. We ate our yummy meals, and already it felt like I had met up with the group many times before. They were all so lovely and nice and fun to hang out with! 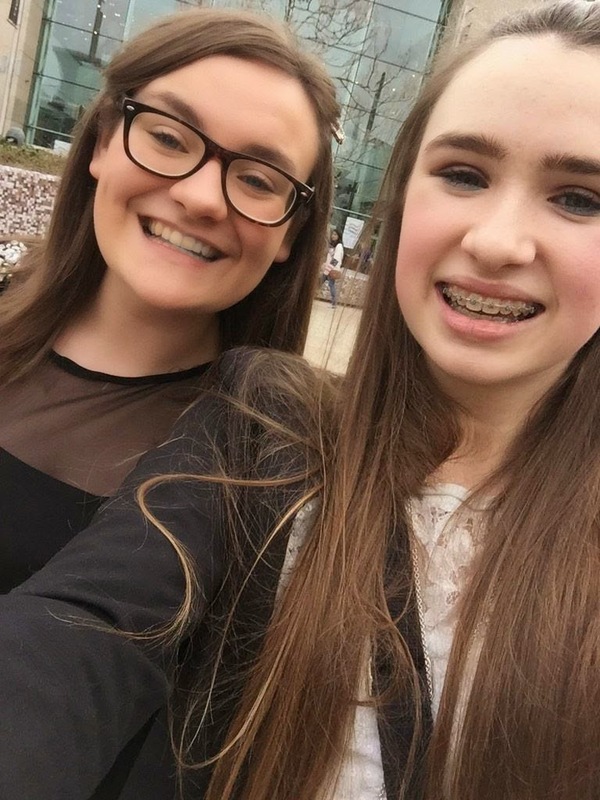 The highlight of lunch was by far the selfie stick incident, and was also Grace's favourite part ;). I was terrified a waitress was going to walk into the long length of the selfie taking device, which lead to my excessive laughter, therefore adding to the great impression the group were getting of me. Brilliant. We went to window-shop in Bershka and Penney's, which surprisingly took a short while, got stuck in an awkward situation in Starbucks, and we hung out outside for a bit to take even more selfies. You can never have enough when you're bloggers! Ultimate Squad Goals were achieved in our photo taking session. 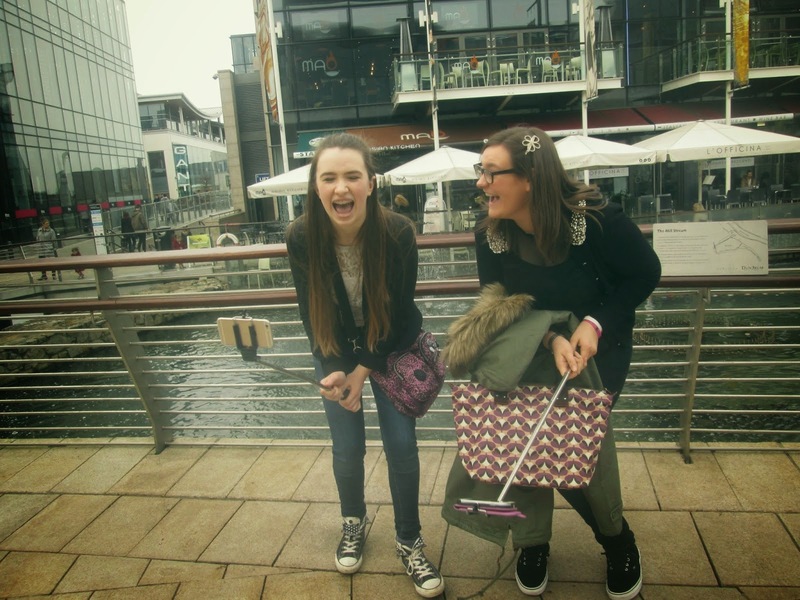 This pretty much sums up the whole meetup for us! Me photo bombing Aveen and Grace's snapchat; I sincerely apologise. super sorry for blocking you Aveen! I had an absolute blast with the girls, but ironically had to be the first to leave them, even though I was by far the closest to the centre! It turned out my mum had some errands and had to go; I wish we spent more time together, but I think cutting it short was good as it'll leave more for us to talk about next time! 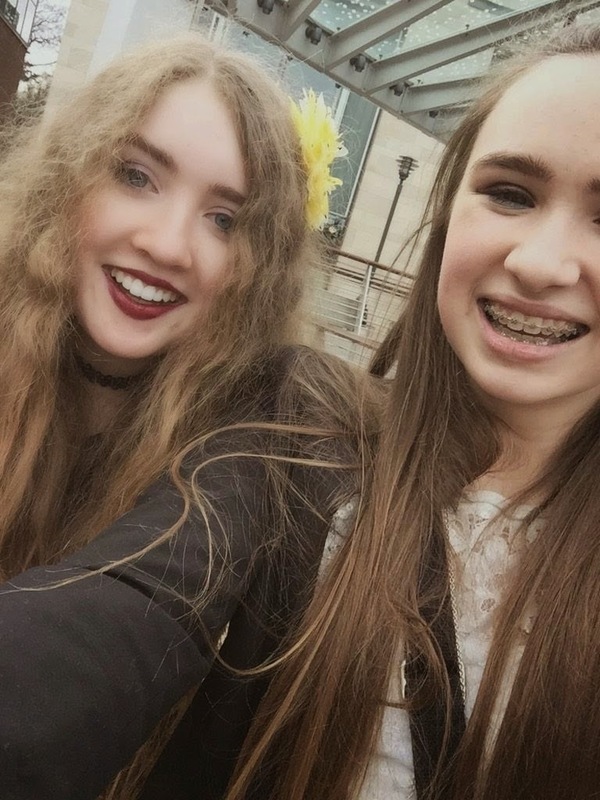 Make sure to watch Grace's vlog of the day here! 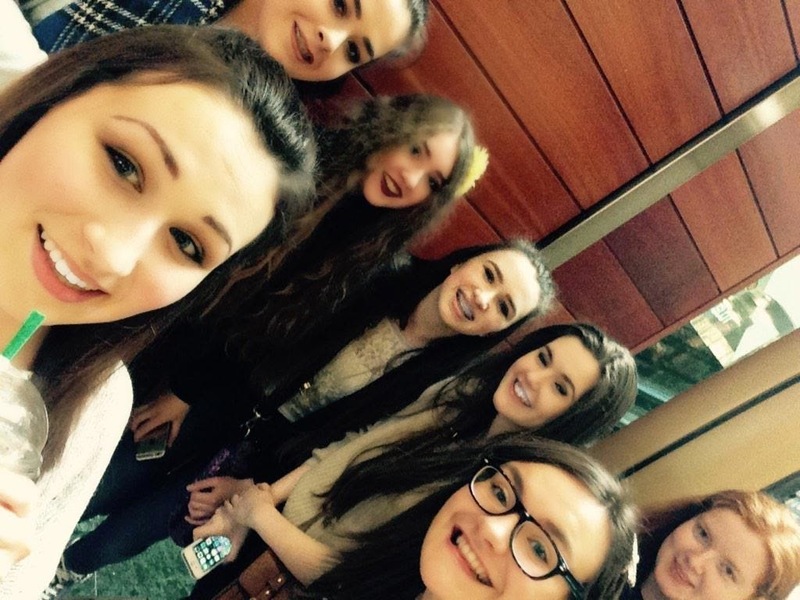 ahh looks like you had such a good time, blogger meetups look so fun! That looks like so much fun. 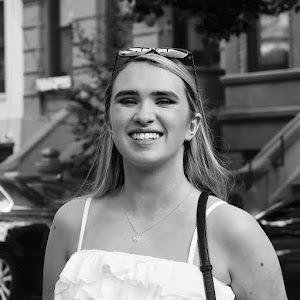 I don't live near any teenage bloggers which is weird for New York. 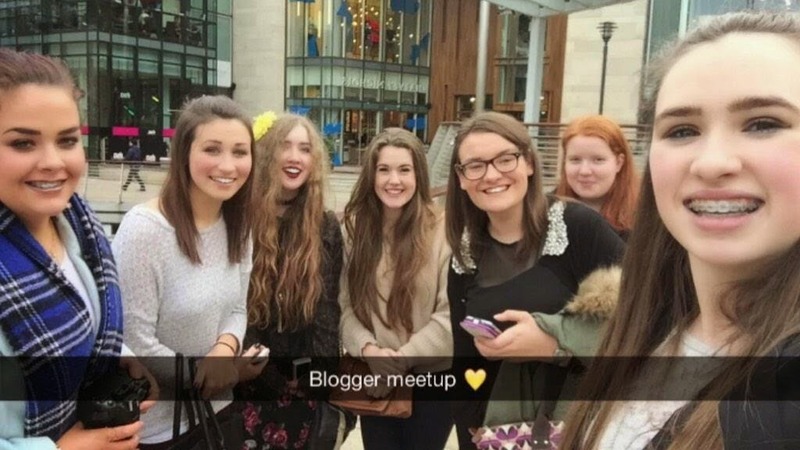 Aww I wish I could have went to a blogger meet up with you all!. I am there in spirit from thousands of miles away! lol!